This week we are going to discuss the way we, and others, perceive sharks. We are also going to look at the role sharks and rays play within ecosystems, raise our awareness of the threats they are currently facing and look at ways we can protect them. We have heard a lot about shark ‘attacks’ recently. We heard the sad news that a man died after being bitten by a shark in Cid Harbour in the Whitsundays. This was the third shark bite in the same location in less than 2 months. We also heard that a man was taken to hospital after being bitten by a shark of Ballina in northern NSW. With this in mind, what are the first three words that come to mind when you think of sharks? Remember in lesson one we discussed perception? We talked about how we develop them and how perceptions can be changed. The way the public perceive sharks is based on misunderstanding, this uncertainty breeds fear. In this lesson, we will build our understanding of these creatures so we can create our own perceptions. The skin of moat elasmobranch species is covered in tiny flat V-shaped scales, called dermal denticles. These denticles decrease drag and turbulence, allowing the shark to swim faster and more quietly. Sharks also have a very large, oil-rich liver. This is how they control their buoyancy. The small pores you may notice on an elasmobranchs nose are called ampullae of Lorenzini. They are special sensing organs called electroreceptors. These organs help elasmobranchs sense electric fields in the water. What is the difference between fish and fishes? “Fish” is the collective noun for a group of fish of one species. “Fishes” is the collective noun for s group of fish of multiple species. The elasmobranchs are incredibly diverse. After all, they have been swimming in our oceans for over 400 million years. There are currently over 500 known species of shark, and over 650 known species of ray alone. Lucky for us, Gavin Naylor from the College of Charleston, South Carolina, along with students from his research lab, created in incredible resource for any elasmo-lover - The Chondrichthyan Tree of Life! In lesson five we learnt about ecosystems. Now we will use this new knowledge and apply it to elasmobranchs. Remember the ocean food web begins with tiny, microscopic plants called phytoplankton. These primary producers provide us with 70% of the oxygen we breathe. These tiny plants are eaten by primary consumers, called zooplankton, which are in turn eaten by smaller fish. The smaller fish are eaten by bigger fish, and so on. Elasmobranchs are upper-level predators. Some, like the great white shark, are apex predators, while others, like stingrays, are called mesopredators. This means they feed on smaller fish but, bigger fish and marine mammals feed on them too. As upper-level predators, elasmobranchs have a very strong influence on the trophic levels below them. If there are too many of them their prey numbers will dwindle, which can lead to an explosion of phytoplankton that can cause toxic blooms. If there are too few, their prey numbers will increase, and they will decimate the primary producers, which provide us with most of the oxygen we breathe. Therefore, elasmobranchs help keep ocean ecosystems in equilibrium. But the sad reality is that our sharks and rays are threatened, and their numbers are declining. What happens if they are removed? It is estimated that almost 1/3 of all shark and ray species are threatened with extinction. Complicating this, almost 40% of all Chondrichthyan fishes listed on the IUCN Red List of Threatened Species are considered “Data Deficient”, meaning that we don’t know enough about them to make an assessment of their threatened status. This means that there are likely far more threatened species than we are aware of. Because elasmobranchs are found the world over and in varied habitats, many species face many different threats. For example,large-bodied, coastal species are at the highest risk of threatening processes because they are closer to human activity. In contrast, many deepwater species are further from these threats, however due to their biology they tend to recover very poorly from threats. Here we want to talk about The Big 4 threats faced by elasmobranchs. Combined, these threats impact every single species of elasmobranch. Can you guess what these four threats might be? Fishing has important social and economic importance. However, if not appropriately managed it can have huge environmental impacts. Many elasmobranchs are directly targeted by fishing. The IUCN estimates that 16% of species are targeted for subsistence fishing (small scale) while 12% are targeted by commercial fisheries. Another form of direct fishing is persecution or ‘control’ programs, which often occur following incidents such as shark bites. It is estimated that 4% of sharks and rays are killed for persecution and control programs. One of the main direct fishing pressures is shark finning. This is the practice of catching sharks purely to cut off their fins so they can be sold to make shark fin soup - a prized delicacy in Chinese culture. It is estimated that 191 sharks are killed every 60 seconds for their fins. Elasmobranchs aren’t only impacted by direct fishing. There are also indirect impacts from fishing. In fact, 96% of elasmobranchs are threatened by the indirect effects of commercial fishing, and 56% are threatened by the indirect effects of small scale fishing, as estimated by the IUCN. In general, coastal species are more exposed to threats from habitat degradation than pelagic or deep-water species because they are simply closer to the activity. In coastal ecosystems, the main threatening processes are residential and commercial development, destruction of critical habitats such as mangroves, changes to rivers (river engineering) and pollution. These 4 processes alone threaten nearly 1/3 of all threatened sharks and rays. We learned about plastic pollution in lesson 7 however pollution comes in many forms. These include urban waste water, effluents and garbage. It is estimated that about 6% of elasmobranchs are threatened by pollution. Pollution can make habitats unsuitable for species to live in and many can be toxic for animals exposed to them, or cause harm or death from entanglement. We’ve already learnt a lot about Climate Change, again we can apply our learnt knowledge to various species. Remember our oceans play an integral role in regulating greenhouse gasses, however there is a limit to what the oceans can handle. Warming air temperatures mean warming ocean temperatures. Warming oceans cause ocean acidification which is disastrous for coral reefs and the species which rely on these ecosystems. Warming oceans may also make habitats unsuitable for many species. For some species, shifting their range towards the poles may work. We have seen poleward range shifts in many species already, including Port Jackson sharks (Heterodontus portusjacksii) and smooth stingrays (Bathytoshia brevicaudata) but for others that rely on other habitat requirements, this may be impossible. While these threats affect almost all of our ocean creatures, there are some traits that most elasmobranchs have which make them particularly susceptible to threats. Most species are incredibly slow growing, meaning they don’t reach sexual maturity for a long time. Great white sharks (Carcharodon carcharias) may live for up to 30 years, and may not reach sexual maturity until they are 15-20 years of age. The Greenland shark (Somniosus microcephalus) may live for 300 to 500 years of age, and might not be sexually mature until they’re 150 years old. It is a risk that these animals may be killed from fishing or die from environmental threats before they are old enough to breed. Many also have low fecundity. This means that they only have few, well developed young that take a long time to produce. This makes recovery from population declines very slow. There are a number of shark control programs in place in response to shark bites on people. Given our new knowledge of sharks and their susceptibility to threats, let’s discuss the current shark control methods used around Australia. First, we need to understand how the technique works as well as looking at reports of the number of species caught and the mortality rate. Which control program do you think is the best and why? Can you think of a better alternative? Identify and understand their use of critical habitats for behaviours such as reproduction and feeding. Understanding these key things can help inform effective monitoring and management strategies. Elasmobranchs are so diverse and so are the technologies scientists use to study them. We can gain incredible insights into the secret lives of these species by looking at their behaviour and movements. However, this is very tricky, as many species are incredibly elusive and following them around in the ocean depths is logistically very difficult! However, there are some really cool technologies scientists are using to solves these problems. Acoustic telemetry involves attaching a small tag to an animal, which emits a faint series of sounds called ‘pings’. 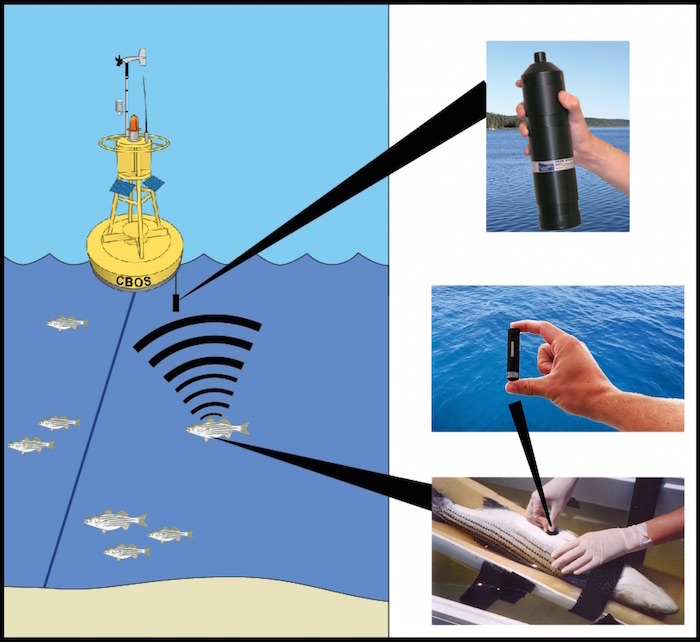 A number of ‘listening stations’ or acoustic receivers are set up in the area of interest, when when a tagged fish swims within range (300-400m), the receiver records which individual it was, when it was there and where it was. These data are then used to track the individuals movements over time. Our very own marine scientist, Joni Pini-Fitzsimmons, uses acoustic telemetry to track the movements of the worlds largest marine stingray - the smooth stingray. While acoustic telemetry gives us an idea of where an animal is and when, it doesn’t really tell us much about its behaviour. Luckily, there has been recent advances in something called ‘tri-axial accelerometry’. 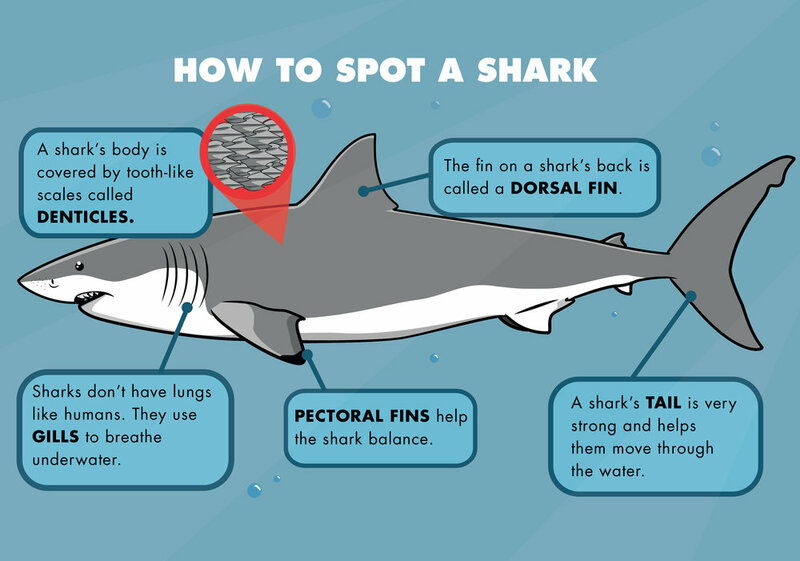 An accelerometer is a cool piece of kit which is fastened to the dorsal fin of a shark, like the one on the right for example, and it takes measurements of forward (acceleration), side-to-side and up-and-down movement. By looking at the different ‘signatures’ left by different behaviours, researches can then figure out when the animal was doing different things, for example swimming, resting or feeding. Macquarie University researcher Julianna Kadar uses accelerometers to look at the migratory behviours of Port Jackson sharks. Sometimes it’s a little tricky to figure out exact behaviours from the squiggly lines given by accelerometers, so scientists also often use video to watch behaviours directly. 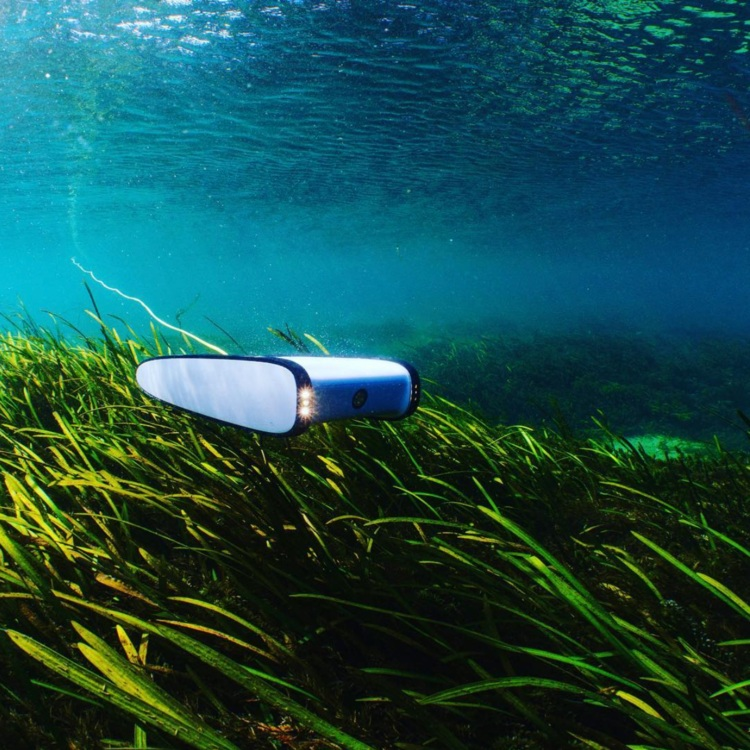 This includes drones, underwater ROVs (remote operated vehicles) & BRUVs (baited remote underwater videos). Marine scientists aren’t the only ones who can do something to help with elasmobranch conservation. Every single person can make a difference in this world. When it comes to our bendy boned friends, there are plenty of things we can all do. The public perception of sharks is based on misunderstanding. By building our understanding and helping to educate others, we can create a wave that will help change negative perceptions. Why not head to the local aquarium or, if you’re feeling particularly daring, dive with sharks and interact with them in their natural habitats. Let us speak from experience, when we say that seeing these majestic creatures in living their lives in their domain is something to behold. 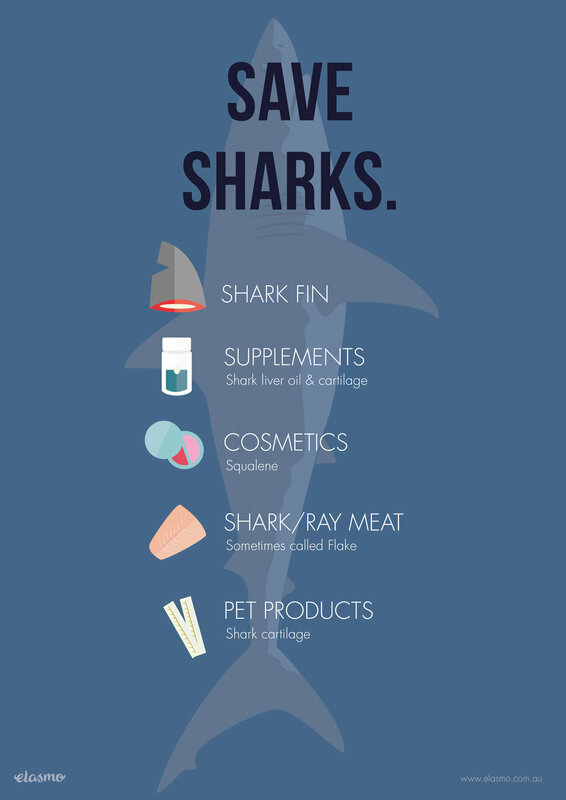 Something most people don’t realise is that shark and ray are used in a broad range of products. Their meats is often served at flake at fish ‘n’ chip shops, their cartilage is often used in joint supplements and arthritis medication (chondroitin) and oil from the livers of deep sea species is even used in cosmetics (squalene). By avoiding these products, demand is reduced. At the beginning of the lesson we wrote down three words that come to mind when we think of sharks. Are those three words still the same? Can you design a poster, paint/draw a picture or create something that will educate others on sharks and inspire others to protect them.